GRETNA – An employee of a clothing store is suing a contractor who was completing renovation on the store after she was allegedly injured after tripping on an extension cord and falling to the ground. Marie “Sissy” D. Roniger filed suit against Sylvester Johnson, Brister Stephens Inc., Jery Lewis and management Resource Systems Inc. in the 24th Judicial District Court on March 6. Roniger alleges she was working at the Ann Taylor Loft store where the defendants were undertaking construction work when she tripped and fell over a cord that was placed by the defendants. The plaintiff claims she was injured in the incident. The defendant is accused of negligently placing a cord in an open area of the floor to create a trip hazard, failing to reroute or secure the cord and failing to remedy the danger. An unspecified amount in damages is sought for physical pain and suffering, mental anguish, emotional distress, embarrassment, inconvenience, disfigurement, loss of wages, diminution of employability, medical expenses, permanent disability and loss of enjoyment of life. 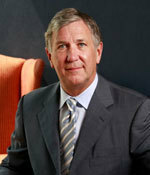 Roniger is represented by T. Carey Wicker III of New Orleans-based Capitelli & Wicker.